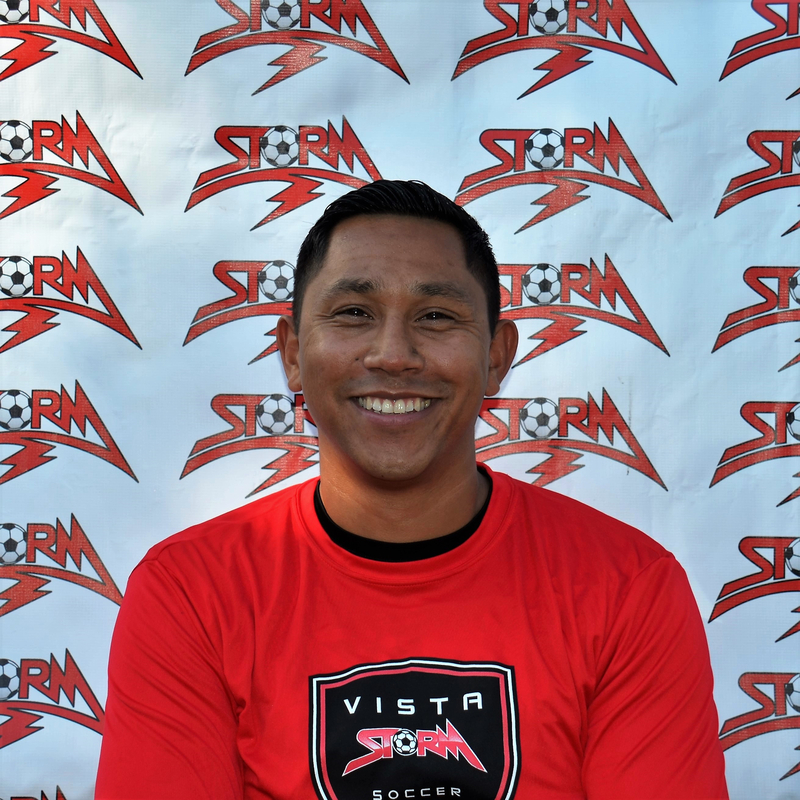 Vista Storm has announced that coach Michael Chavez has been promoted to Assistant Director of Coaching, effective immediately. He will join Director of Coaching Matt Hall and Assistant Director of Coaching Hector Prado in the club’s effort to continue to enhance Vista Storm S.C. I joined the club 5 years ago as an entry level coach, and I am very excited to begin my new role working side by side with DOC Matt Hall and ADOC Hector Prado. I look forward to getting involved with the club's vision and helping it become a reality for our teams and players. My goal is not only to help our youth players become better soccer players, but to also become better people. I also want thank Vista Storm, Matt Hall, and Hector Prado for giving me this opportunity. Coach Michael Chavez has done a great job creating and maintaining some of the best teams in our soccer club. He is a student of the game, and is continually looking for ways to make himself a better coach. He is a great resource for our young players and coaches, and is always willing to help anyone that needs it. His loyalty and commitment to Vista Storm is unquestioned and we are very excited that he is going join coach Hector Prado and myself to help Storm continue to progress.